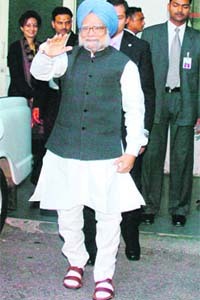 Even as Punjab Medical Education Minister Tikshan Sood today tendered his resignation from the cabinet owning moral responsibility of the Rajindra Hospital fire in which five infants were killed, Deputy CM Sukhbir Singh Badal said a high-level committee had been formed to look into the health of all three government medical colleges of the state. Editorial: Who will hear babies� cries? Prime Minister Manmohan Singh was today relieved from AIIMS, a week after he underwent a redo heart bypass surgery at the institute on January 24. �He has been an ideal, humble and very cooperative patient,� said his doctors, after the PM left for his 7, Race Course residence at 7.50 am today. 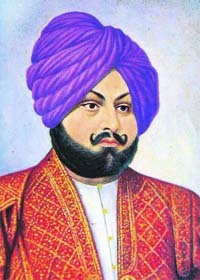 FOUNDER�S DAY: All of us pay our respectful tributes to Sardar Dyal Singh Majithia, who founded The Tribune 128 years ago this day. Eyebrows are being raised in high government circles over several complaints alleging that attempts are being made to influence decisions to award lucrative contracts associated with the 2010 Commonwealth Games to favourites. Chief Election Commissioner N Gopalaswami today defended his action of recommending the removal of Election Commissioner Navin Chawla for �partisanship� to President Pratibha Patil. In what may cause embarrassment to the UPA government, National Security Adviser MK Narayanan has virtually contradicted External Affairs Minister Pranab Mukherjee on Pakistan�s response to the dossier of evidence provided by India to the neighbouring country on the 26/11 Mumbai attacks. A glorious chapter of the Indian democracy came to an end with the demise of Chaudhary Ranbir Singh, a noted freedom fighter and father of Haryana Chief Minister Bhupinder Singh Hooda. He was the lone surviving member of the Constituent Assembly of India.